Historical ice records, such as freeze and breakup dates and the total duration of ice cover, can be used as a quantitative indicator of climatic change if long homogeneous records exist and if the records can be calibrated in terms of climatic changes. Lake Mendota, Wisconsin, has the longest uninterrupted ice records available for any lake in North America dating back to 1855. These records extend back prior to any reliable air temperature data in the midwestern region of the U.S. and demonstrate significant warming of approximately 1.5 °C in fall and early winter temperatures and 2.5 °C in winter and spring temperatures during the past 135 years. These changes are not completely monotonie, but rather appear as two shorter periods of climatic change in the longer record. The first change was between 1875 and 1890, when fall, winter, and spring air temperatures increased by approximately 1.5 °C. The second change, earlier ice breakup dates since 1979, was caused by a significant increase in winter and early spring air temperatures of approximately 1.3 °C. 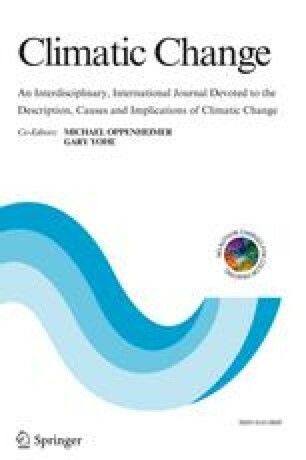 This change may be indicative of shifts in regional climatic patterns associated with global warming, possibly associated with the ‘Greenhouse Effect’. With the relationships between air temperature and freeze and break up dates, we can project how the ice cover of Lake Mendota should respond to future climatic changes. If warming occurs, the ice cover for Lake Mendota should decrease approximately 11 days per 1 °C increase. With a warming of 4 to 5 °C, years with no ice cover should occur in approximately 1 out of 15 to 30 years.